Beechwood sport are collaborating with Bradley Arms who engineer custom built weapons for their clients. (images show a Trijicon Accupower 1-8 on a bespoke Bradley Arms custom built weapon.) Mark Bradley added "Bradley Arms has always strived to be the best in their field and has never accepted anything other than the very best products and components for their rifles. This is why we are happy to be partnered with Beechwood Equipment and to be able to supply the Trijicon line of optics to our discerning customers. 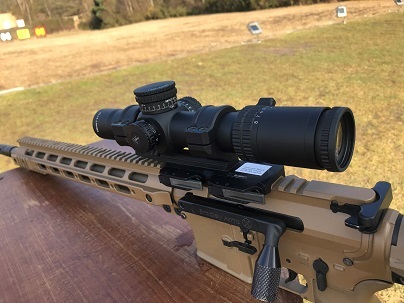 As a prime supplier of rifles for the Civilian Service Rifle discipline, we are proud to see these fantastic optics appearing more and more on the firing point throughout the season and National Championships."